This cute little magnet needs a home on your fridge, pencil tin, or radiator. 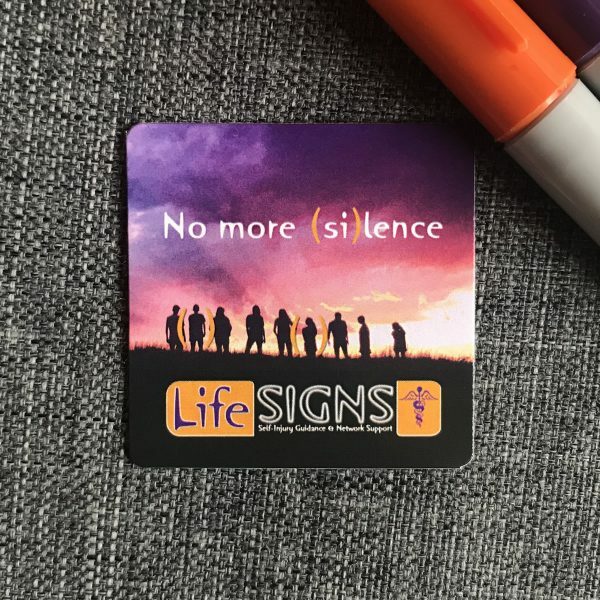 About 4cm square, our magnets are for anyone who wants a little bit of LifeSIGNS in their life. 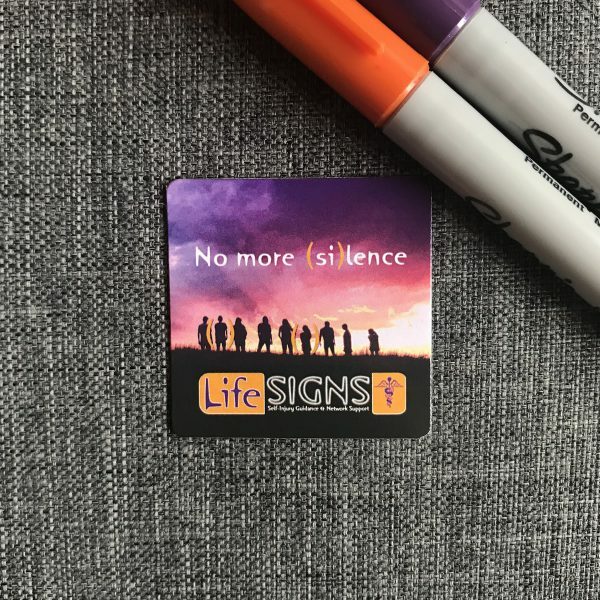 When you buy a magnet, you’re supporting all our work to raise awareness and create understanding. Why not get two and give one to your supportive friend or loved one? Select 1 or 2 magnets below for delivery in the UK and Northern Ireland. Select 1 or 2 magnets below, for delivery anywhere in the world. 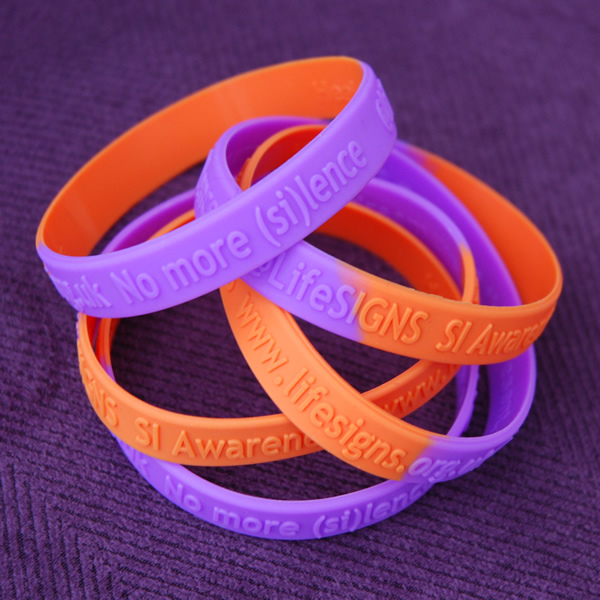 Have you seen our SI Awareness wristbands? They’re orange and purple, and have a secret message on the inside.